You haven't lived until you've ridden a big single-cylinder road bike. 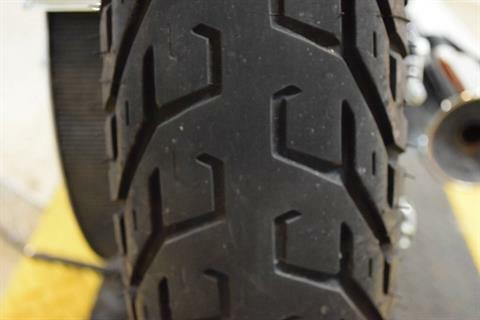 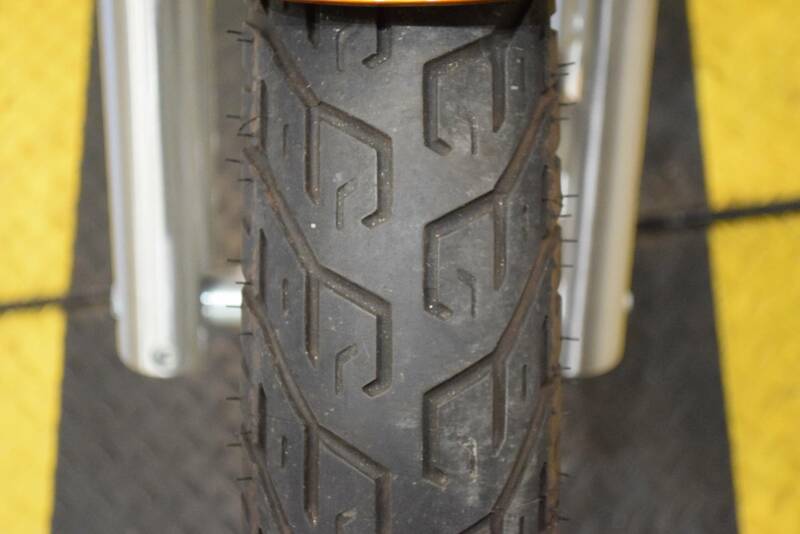 They're flat out a blast to ride. 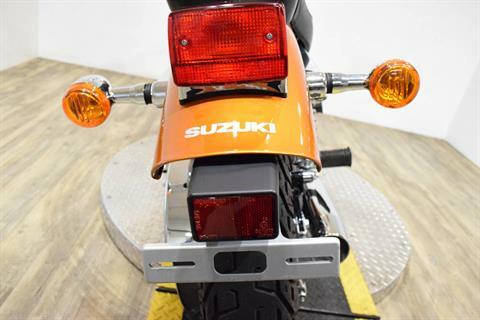 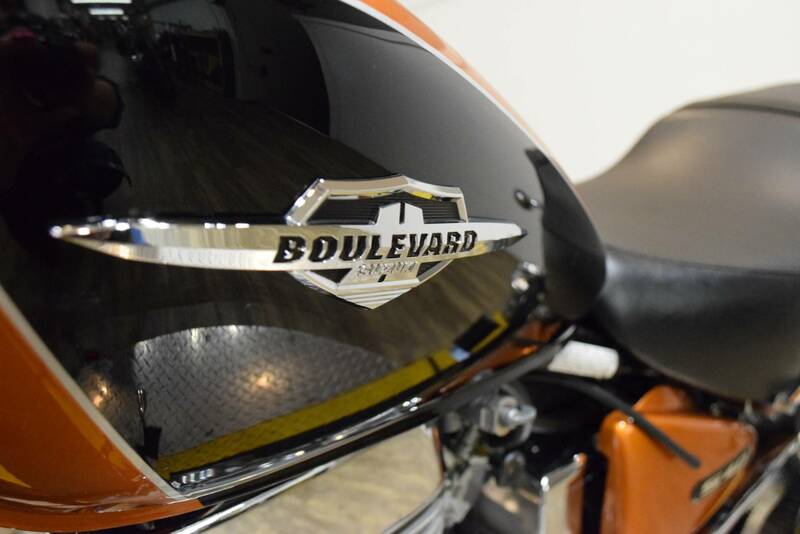 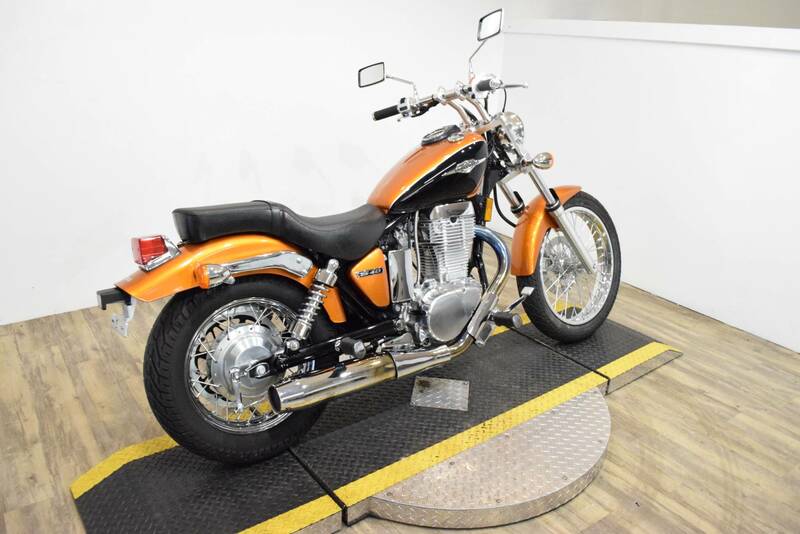 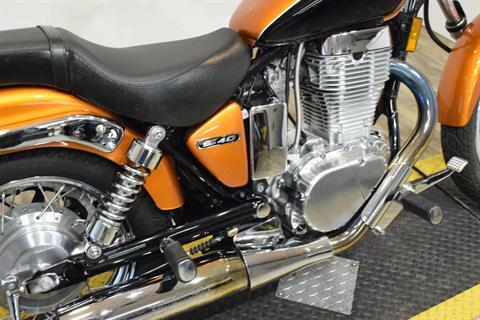 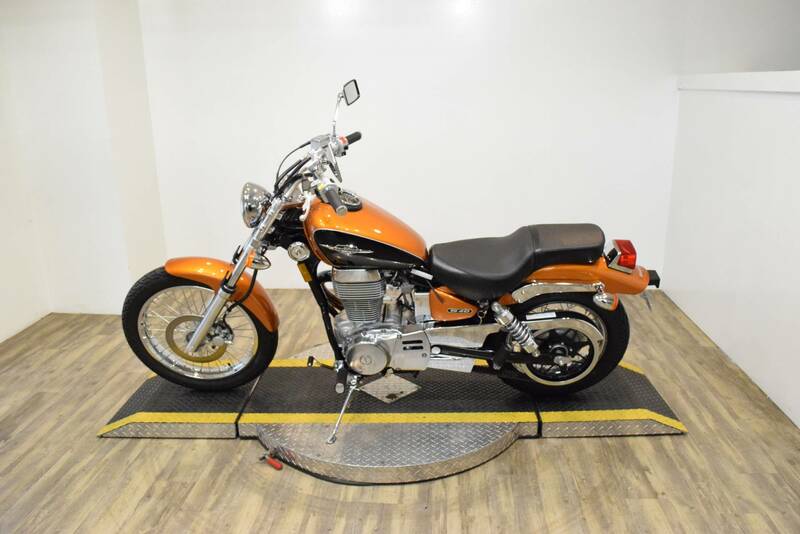 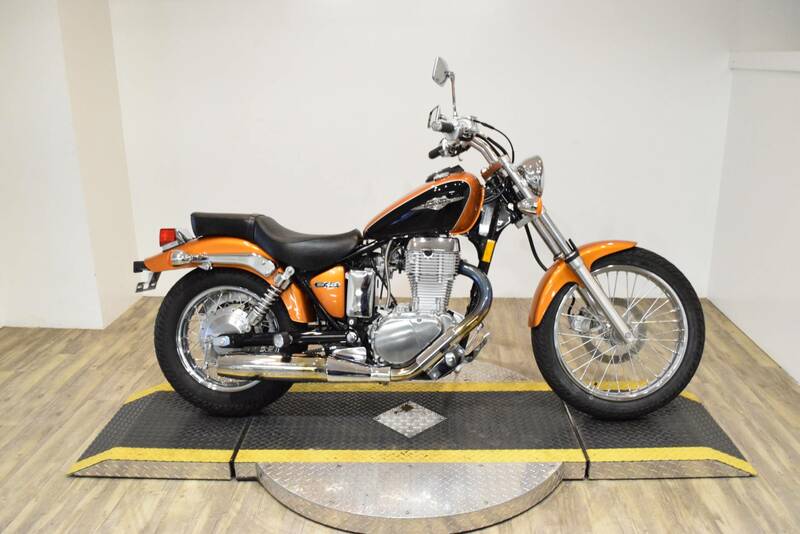 The Boulevard S40 takes that timeless single-cylinder design and adds a shot of advanced Suzuki technology to create a bike that combines exciting performance with rock-solid reliability. 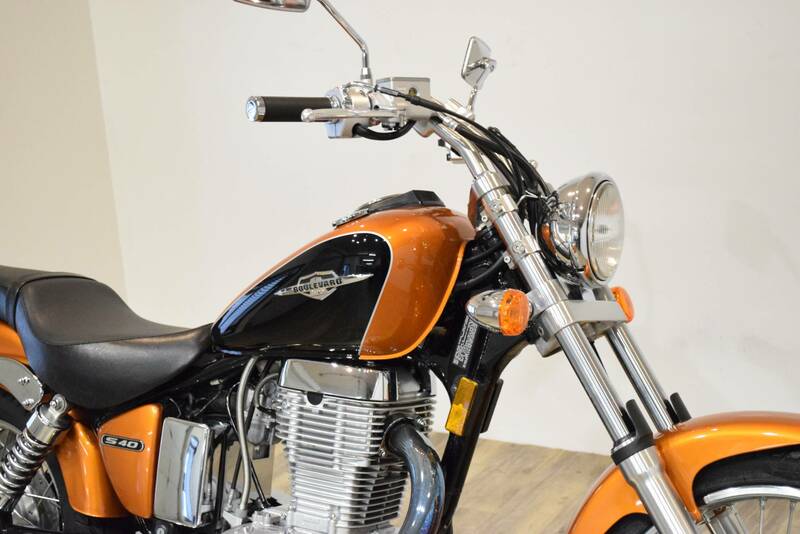 One of the S40's major attractions is its lightweight responsiveness - it's great for cruising down the boulevard or beyond the city limits. 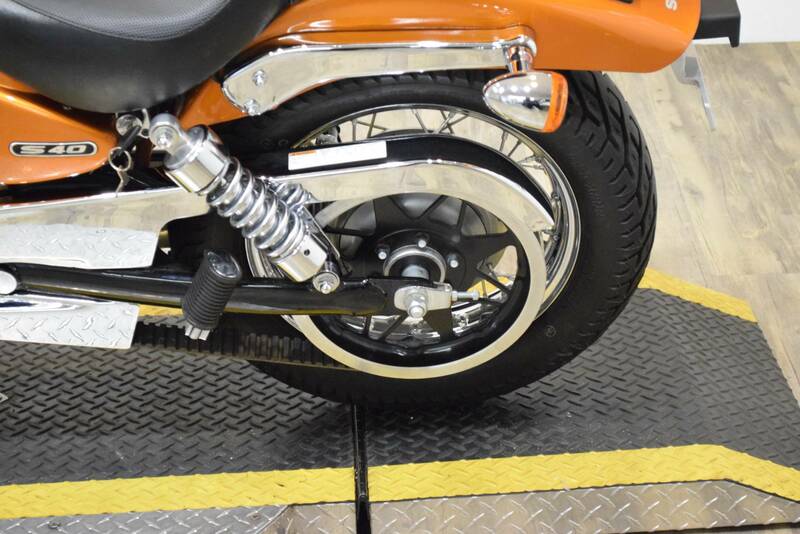 Wherever you ride, one twist of the throttle rewards you with a blast of low-end and mid-range torque. 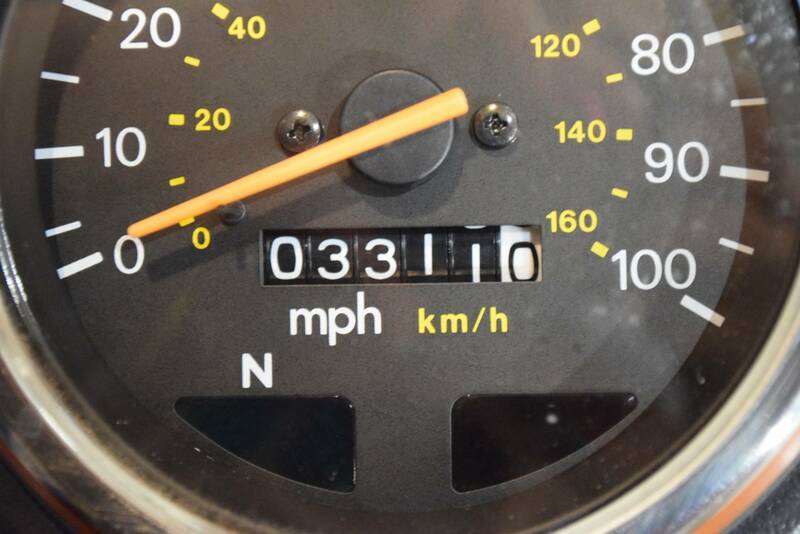 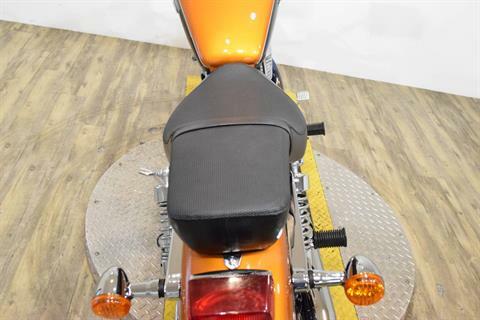 And when you're up to cruising speed, you'll really appreciate the engine's smooth performance. 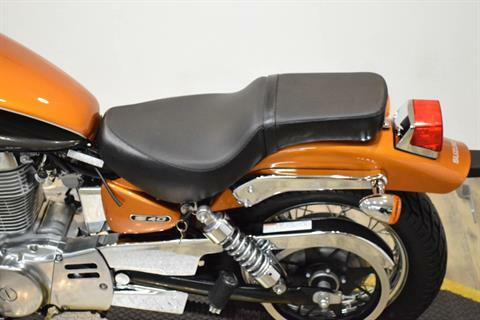 For 2012 the Boulevard S40 is available in Metallic Fox Orange / Glass Sparkle Black and Pearl Mirage White / Metallic Veil Silver. 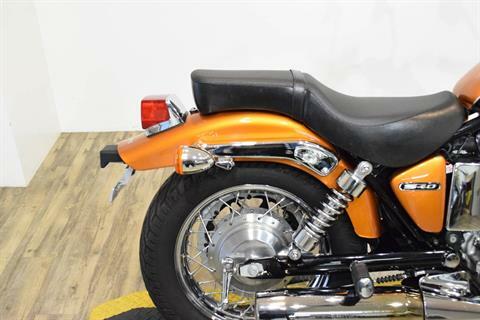 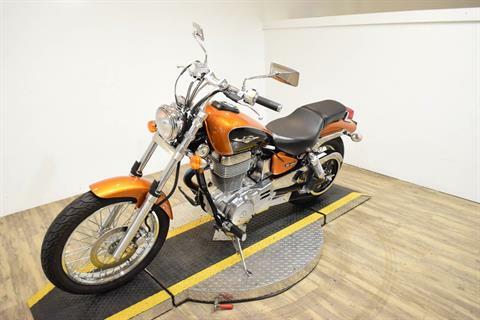 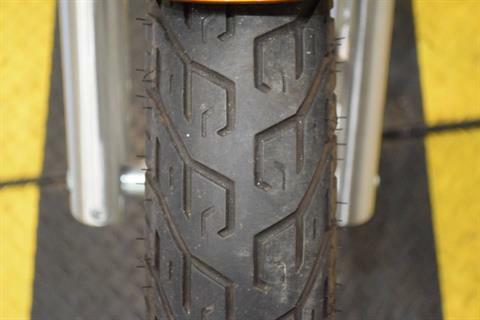 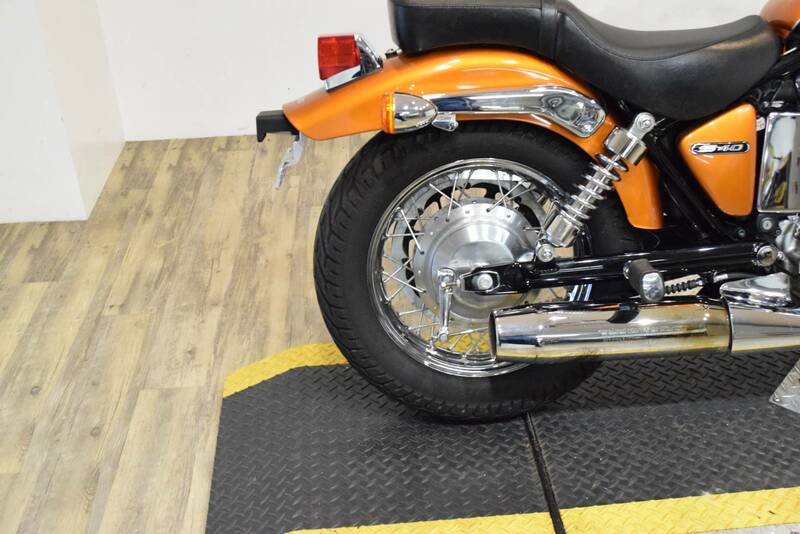 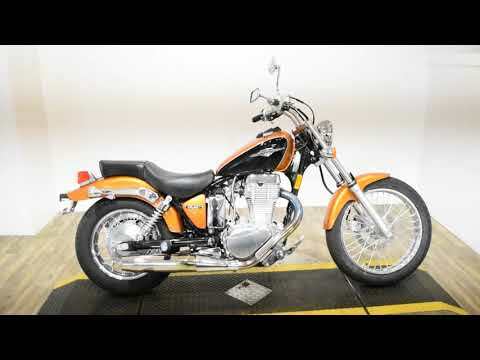 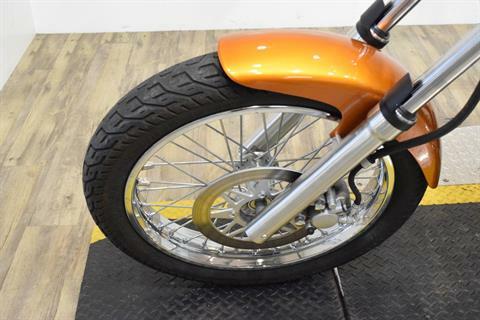 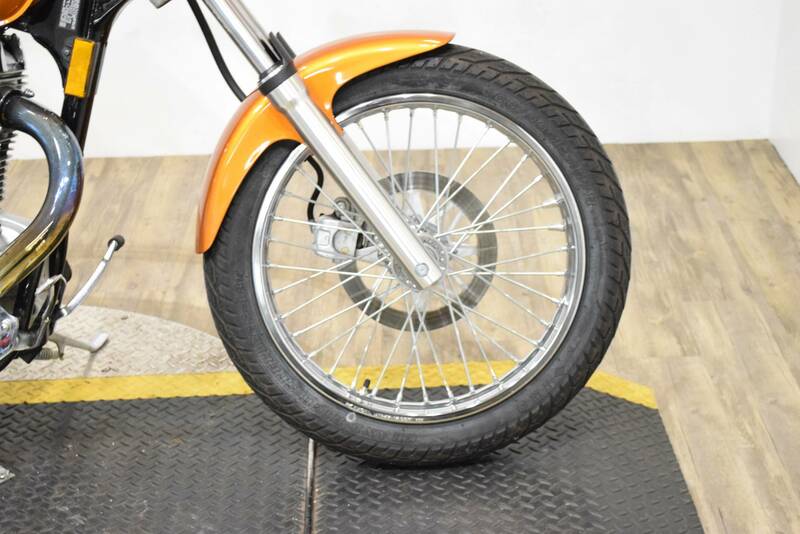 A wide 15 inch rear tire and slim 19 inch front tire provides a classic cruiser look. 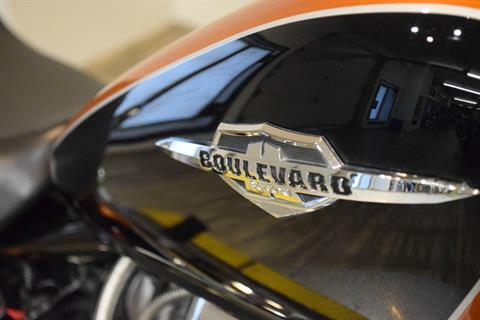 The Boulevard S40 comes with an attractive tear drop-shaped fuel tank (2.8 gallon capacity) with flush-mounted speedometer. 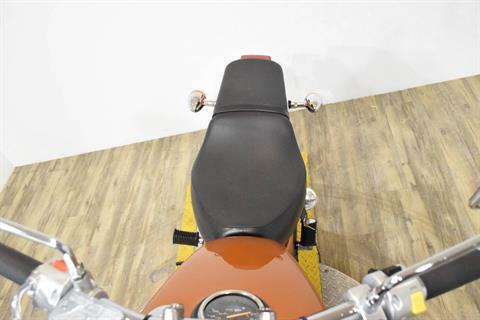 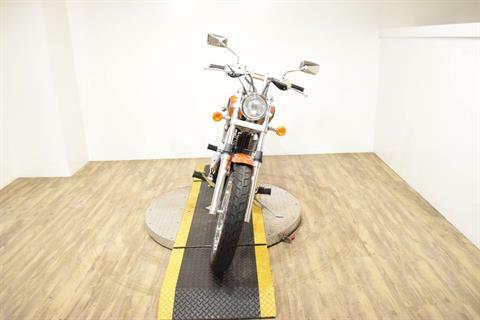 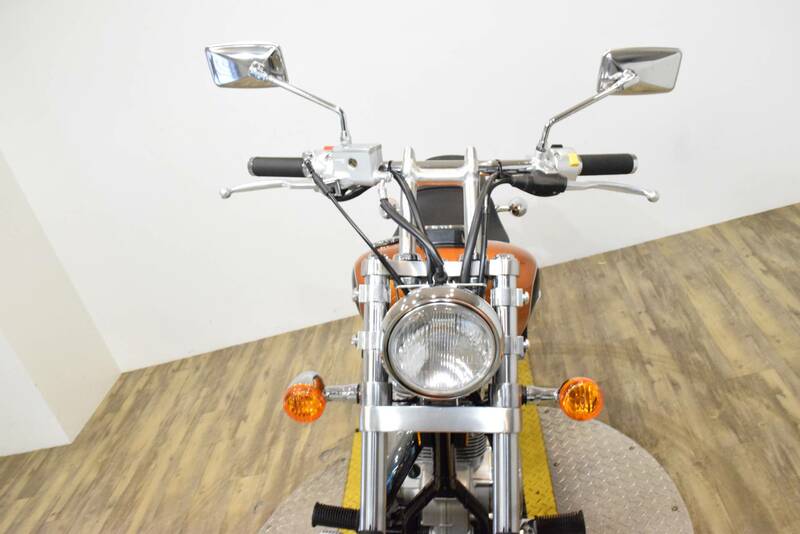 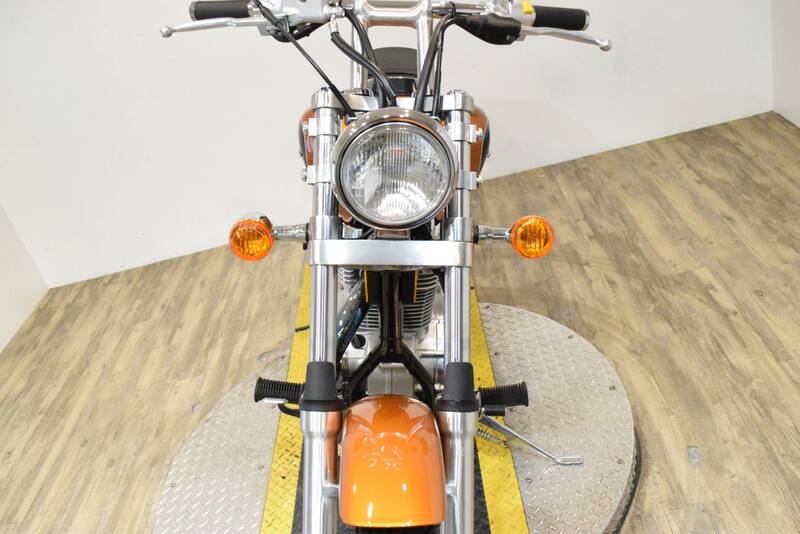 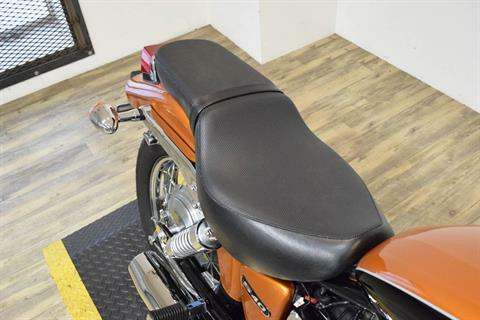 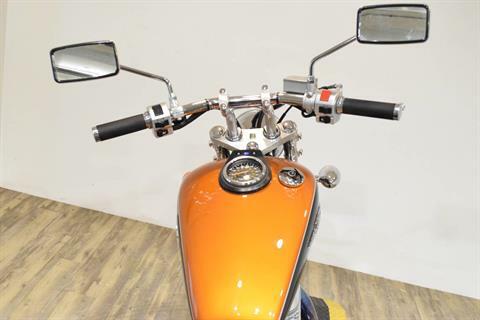 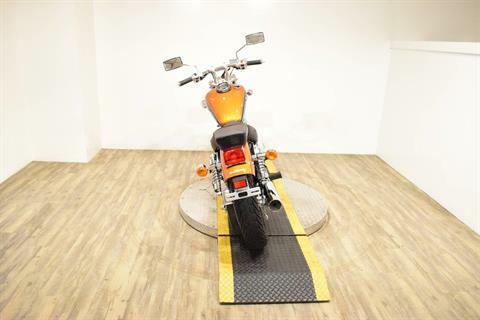 Custom flat handlebar design provides a clean, sporty appearance, while custom-style rear view mirrors provide an attractive appearance (similar to the larger Boulevard models). A sleek, one-piece saddle adds to the Boulevard S40's already streamlined appearance. The low seat height (only 27.6 inches) is great for smaller or entry-level riders. 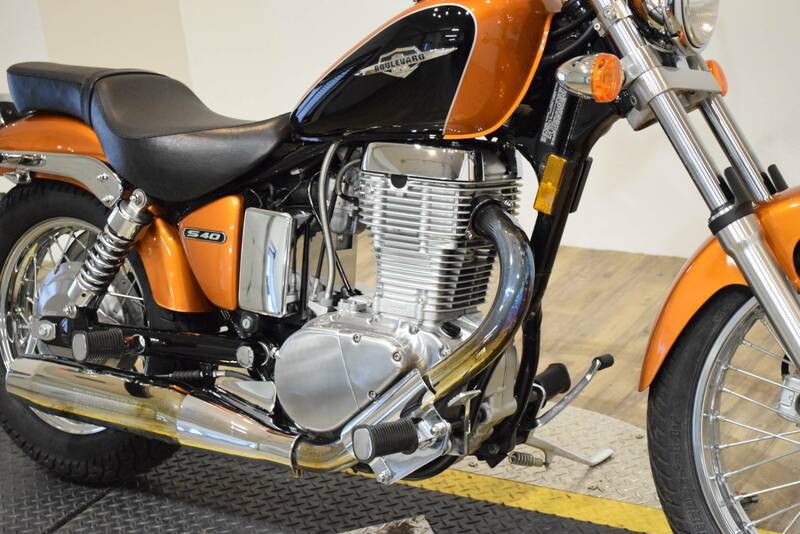 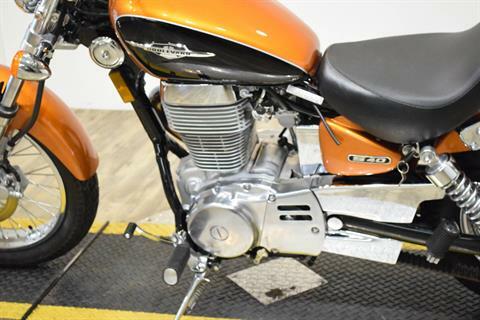 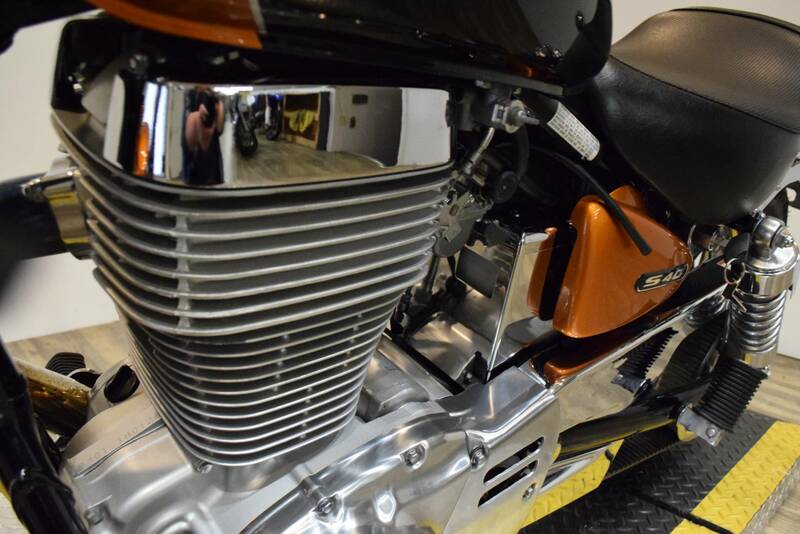 A 652 cc, SOHC, single-cylinder, air-cooled four-stroke engine with TSCC (Twin Swirl Combustion Chambers) cylinder head and high mass crankshaft produces strong low-end power and torque. A smooth-shifting five-speed transmission is complemented by a low-maintenance belt-drive system that's quiet, durable, and simple to adjust and clean.